Mary was hired in 2006 after being a district manager at Ace Assurance Glass Company. 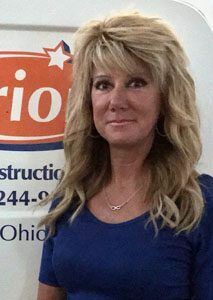 She enjoys meeting new customers with the Orion Construction marketing team and educating them on all the services. Mary also enjoys helping our customers when they have a fire or water emergency. Mary lives with her husband and Lasa Apso dog, Oscar. She loves to take vacations and visiting her daughter in Chicago.